DELICIOUS Turkey Pot Pie, Look at that pie crust! 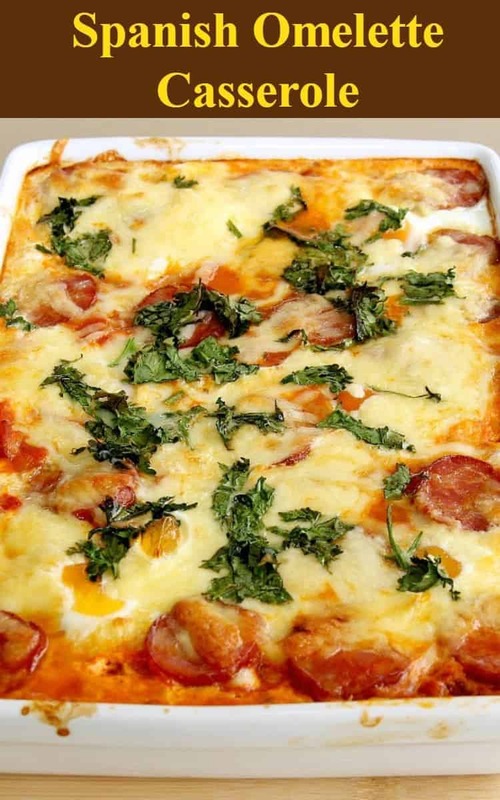 I would also make this using chicken and ham together (great combo!) Oh my! Plus perfect for using up leftover turkey! 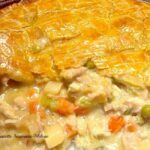 DELICIOUS Turkey Pot Pie, what a fabulous tasting dish this is! Many of you will have landed here after wondering of a good tried and tested recipe for using up your leftover Turkey, perhaps after Thanksgiving or Christmas. 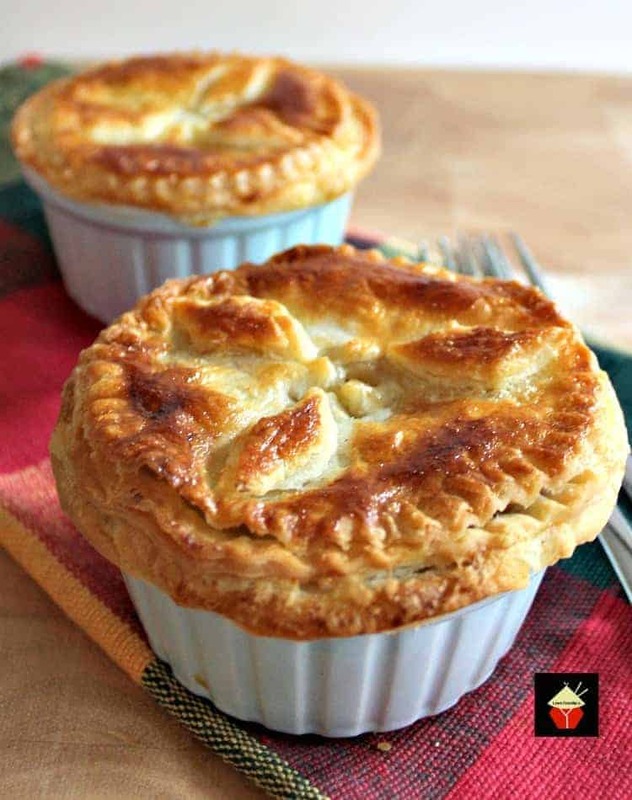 Well, look no further because this is one great tasting recipe, easy to make and it’s also freezer friendly too, so if you wanted to make a few Turkey pot pies up and freeze them, you certainly can! 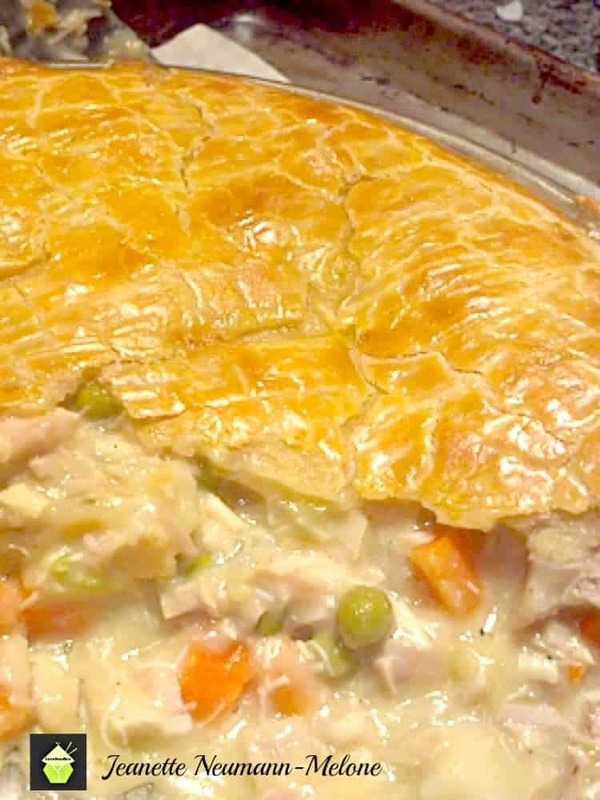 The ingredients in this delicious turkey pot pie are most likely already in your kitchen, and as for the pie crust, you could buy ready made pastry if that is more convenient for you, or you could make one of our own pastries, from a traditional Shortcrust pastry, or use our flaky pastry recipe. Both recipes will give you enough for 1 pie crust so you don’t need to recalculate any ingredients. Our pastry recipes are very quick and easy too, even for a novice, with step by step instructions. Shortcrust recipe, just click on the link here or the photo and you can take a look! 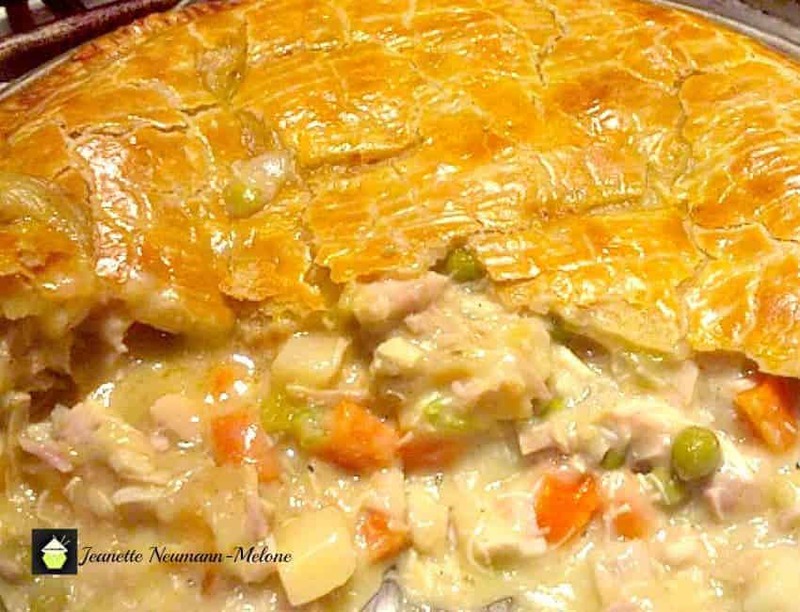 This delicious turkey pot pie recipe has been generously shared by one of our supporters, Janette. Jeanette is a busy mom to say the least! So she is always looking for ways to make her meals easy, wholesome and of course tasty. Here with Jeanette’s Turkey Pot Pie, Jeanette has used left over turkey and made an absolutely delicious meal for her family. It’s bursting with so much flavour, Jeanette wanted to share the recipe with you all to enjoy too! See how Jeanette makes this tasty family meal! ******For broth, if you are using left over turkey, simply bring the bones and carcass to a boil with a chopped carrot & celery stick or two, with enough water to cover the bones, then simmer for 20 minutes. Season if desired. Strain and there you have a very basic broth which you can develop with other flavours later! 2. Grease and line your pie dish with the bottom crust and pre bake for 10 minutes. 3. Using a saucepan, heat the oil and butter. Add the celery, onion and bell pepper. Over a gentle heat, cook until softened. 4. In a separate pan or microwave, pre heat the chicken broth until it is hot. 5. Using a whisk, stir the sifted flour into the sautéed vegetables and continue to cook until a roux is made and becomes light brown in color, adding a few tablespoons of broth to loosen if necessary. Cook this mixture for about 10 minutes. 6. Add the garlic, thyme, sage and black pepper. Whisk in the chicken broth until all combined. Slowly whisk in the heavy cream and stir until the mixture thickens. Season with salt and pepper. 8. 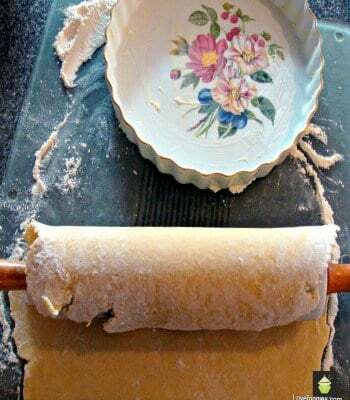 Pour the filling mixture into the pre baked pie crust then cover with the second pie crust. Crimp the edges down so there is a seal all around the pie and make a hole in the middle of the top pie crust to allow steam to escape during cooking. It’s easiest to use a knife and make a criss cross and peel back the corners to allow a hole. 9. Make the egg wash by lightly beating the egg and water. Brush over the top crust. Bake 45 to 60 minutes until the crust is golden brown. 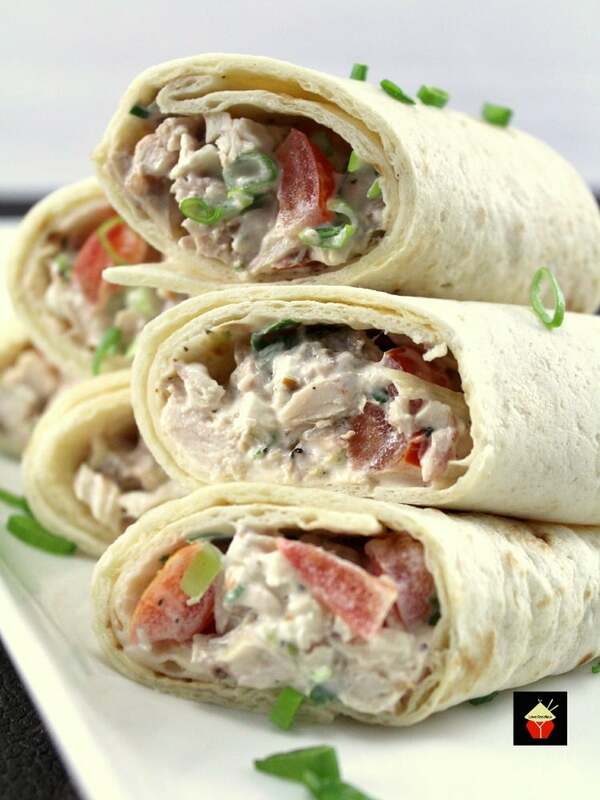 Here are a few more delicious recipes where you can use left over turkey. Yummy! Grease and line your pie dish with the bottom crust and pre bake for 10 minutes. Using a saucepan, heat the oil and butter. Add the celery, onion and bell pepper. Over a gentle heat, cook until softened. In a separate pan or microwave, pre heat the chicken broth until it is hot. Using a whisk, stir the sifted flour into the sautéed vegetables and continue to cook until a roux is made and becomes light brown in color, adding a few tablespoons of broth to loosen if necessary. Cook this mixture for about 10 minutes. Add the garlic, thyme, sage and black pepper. Whisk in the chicken broth until all combined. Slowly whisk in the heavy cream and stir until the mixture thickens. Season with salt and pepper. Pour the filling mixture into the pre baked pie crust then cover with the second pie crust. Crimp the edges down so there is a seal all around the pie and make a hole in the middle of the top pie crust to allow steam to escape during cooking. It's easiest to use a knife and make a criss cross and peel back the corners to allow a hole. Make the egg wash by lightly beating the egg and water. Brush over the top crust. Bake 45 to 60 minutes until the crust is golden brown. I would really like to have your pie crust recipe that you used in this dish. It is the best looking pie crust I have seen in a long time. Would you be able to give me the recipe or tell me where I can find it please. I would appreciate it so much. If you want o have a flakier pastry, I would recommend our flaky pastry recipe. It does take a little more time to prepare, (around 15 minutes), but oh boy! It’s really worth it! 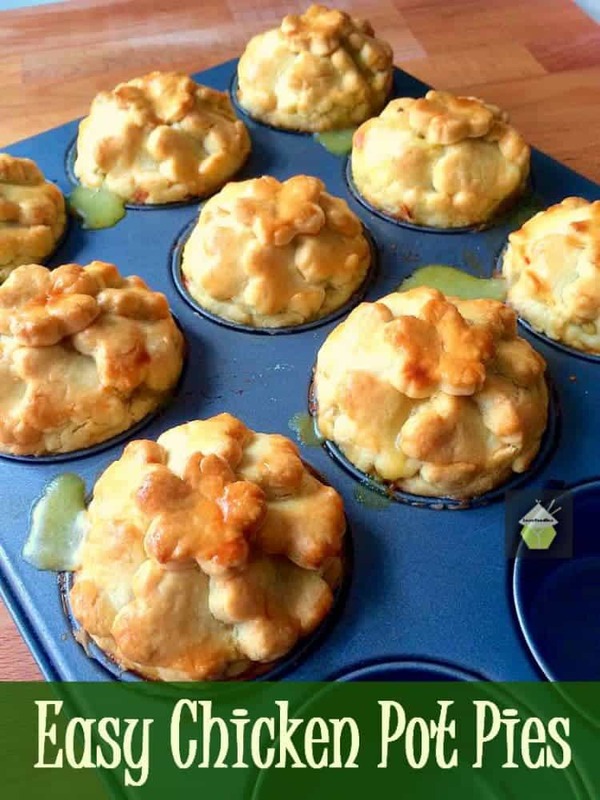 You can see it here https://lovefoodies.com/quick-and-easy-flaky-pastry.html (if you scroll down to the bottom of the recipe you will see a photo of some chicken stroganoff pies I made using this recipe, so you have an idea what it will turn out like). Hope this helps and please enjoy! Wow! Great way to use left over Thanksgiving Turkey this year! This was delicious! Thank you for sharing your recipe! Happy Holidays!